Criticizing the continuing curtailing of the political, social, economic and cultural rights of the people of Gilgit-Baltistan, leading figures of the Balawaristan National Front (BNF) have deplored Islamabad’s use of propaganda to undermine the efforts of movements such as the BNF or the Balawaristan National Student Organization (BNSO), while simultaneously suppressing freedom of expression in the region. 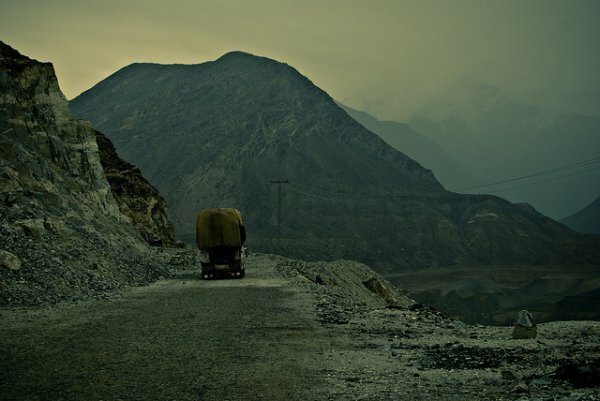 Particularly with regards to the implementation of the China-Pakistan Economic Corridor (CPEC), the voices of the people of Gilgit-Baltistan should be heard and taken into consideration – not systematically kept out– when making decisions affecting them and their homeland. Leaders and office-bearers of Balawaristan National Front (BNF) and the Balawaristan National Student Organization (BNSO) here said Gilgit-Baltistan (Balawaristan) was an integral part of the state of Jammu and Kashmir. But due to being under the administrative control of Pakistan, the successive federal governments have maintained their dominance in the area. Speaking at a press conference at Karachi Press Club, the BNF and the BNSO leaders including Mehboob Ali Advocate, Mehboob Gilgiti, Sultan, Hafas Shah, BNSO’s Ghulam Ali, Afaq Bilor, Zafar Hussain, Toti Jan and others said that right from the beginning to date the people of Gilgit-Baltistan have been kept deprived of their political, social, economic and cultural rights. Even the ethical values of the people of the region have faced degradation during this period, they complained. They said that about two to three decades ago, different nationalist movements started taking roots in Gilgit-Baltistan mainly because of the frustration and despondency [which] prevailed in the region in order to fight for the rights of the masses. These included Karakoram National Movement (KNM), Qaumi Ittehad Party, Qaumi Mahaz Party, United Movement; particularly the BNF and the BNSO have been fighting for the rights of the people and working to raise public awareness about the rights of the people. However, the civil bureaucracy and imperialist rulers have increased their poisonous propaganda through their local puppets and paid agents against the nationalist forces, especially the BNF and its student wing, the BNSO, to declare them anti-nation and anti-country parties, they regretted. They said that the BNF was a representative political party and for long has been working for the rights of the people of Gilgit-Baltistan based on the resolutions of the UN, UNCIP dated 13 August 1948, and 5 January 1949, Supreme Court ruling of May 1999, Lahore High Court judgment on Gilgit-Baltistan and the recent statement of the federal law minister about the area. The speakers said that due to the changing world and geographical scenario, the importance of Gilgit-Baltistan had increased and as such the inhabitants of the area should be given their full rights and no decision involving the area should be taken without taking the indigenous people on board. In this context, they put up a number of demands to the government to fulfil without any delay. They said that till the resolution of the issue of Kashmir, Gilgit-Baltistan should be given powers to run its own affairs in all fields except defence, foreign affairs and currency which the federal government can keep. They said that Gilgit-Baltistan was the owner of China Pakistan Economic Corridor (CPEC) and as such the people of the area should be given their rights as owners not stakeholders of the mega project. Currently, efforts are being made to occupy the land located along the Karakoram Highway from Basri checkpost to the Khunjerab Pass after declaring them khalsa sarkar by using state machinery. They said the state should acquire land for its needs only after fulfilling all the legal requirements. They were of the view that as there is not an inch of land belonging to the khalsa sarkar, the government should acquire the land after paying the cost to the owners. Any step taken against the land acquisition act would be deemed tantamount to robbery of the rights of the people, they warned. Geographically, Diamer is the biggest district of the region and its two units, Darel and Tagir, still remain the most backward, so there is a need to merge these two units to make a new district so that the area can be brought at par with other developed parts of the region, they added. For over six months, due to unknown reasons, obstacles have been created in the way of Gilgit-Baltistan’s only outspoken Urdu newspaper, Baang-e-Sahar, and the PTA also recently obstructed its online edition. This is equal to suppressing the people’s voice and an infringement in the freedom of expression. The BNF and BNSO leaders asked the international human rights and media organizations to press Pakistan to stop such tactics so that the freedom expression and press can be ensured in the area.